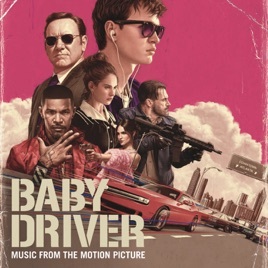 The soundtrack is anything but incidental for this 2017 car-chase crime thriller, where the lead character is driven by music. Pedal hits the metal from the get-go with The Jon Spencer Blues Explosion’s funkified garage-rock blast, then shifts through bouncy Motown (Carla Thomas, Martha Reeves & The Vandellas), throbbing ’70s rock (Focus, Golden Earring), and cruisy tunes that hug the curves (The Commodores, Beck). The punchy punk of The Damned and the snappy folk-pop of Simon & Garfunkel coexist on an eclectic collection that never stops moving. The music in this movie (unlike Guardians) is almost always diegetic and actually plays into character moments and interactions and action scenes with equal aplomb without ever being a cash grab or nostalgia bate and switch. Additionally this album is a bargain; $15.40 cheaper than buying all the tracks separately. In leu of buying the movie I have bought the sound track. Keep up the good work Edgar Wright.